A handy tool for racers and engine builders during engine assembly or crank rotation. The nut slips easily on the crank snout and provides a hex surface for an open end wrench. Ideal for cam degreeing by placing the nut behind the degree wheel for easy unobstructed adjusting. The B&B crankshaft socket makes rotation of the crankshaft a snap when assembling an engine. 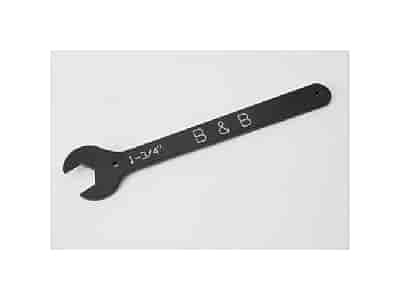 The socket requires any 1/2'' drive ratchet or breaker bar for use. Each socket is finished in a protective coating for long lasting service.